"There are differing opinions on whether or not you should leave your lights on the entire time you're on vacation," said A Secure Life. "If you leave your lights on the whole time you're gone, it wastes a lot of electricity and raises your electric bill. Also, having lights on 24/7 can look just as suspicious as having them off. Electronic timers may be helpful. The danger here is that if someone was really intent on robbing you, they will likely be watching the house for a period of time. If they notice that the lights go on at exactly 7:05pm and off at exactly 10:35pm each night, it would not take a genius to figure out they are on a timer." The answer: A project like Caséta. "Scheduling lights to turn on at varying times is a great way to deter burglars, and the Caséta Wireless kit lets you control the lights in your home from anywhere through the Lutron Electronics app," said USA Today 10 Best. "Its new Smart Away feature randomly turns lights on and off between 6pm and 11pm to make your home look lived in - even when you're on vacation. Caséta Wireless also ensures you never have to walk into a dark house again - or get out of bed to turn off the lights." Mail theft is up, and consequently, so is identity theft. "According to a US Postal Service official, mail theft is on the rise, with the objective of getting access to financial information to exploit for personal gain," said ABC 10. 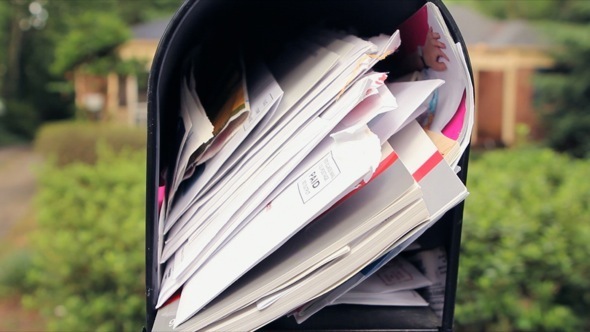 Asking your neighbors to get your mail is great, but what if they don't get to it right away? You don't want thieves putting a plan of credit card fraud into action while you're getting a massage. You may think you have thought of everything when it comes to protecting your home on vacation. But if your dogs are also taking a little vacation at your fave boarding spot while you're away, you might be removing one of the top obstacles to home break-ins: a barking dog. Nextdoor and Rover are great places to find a qualified dog sitter who can stay with your pooches and watch your house at the same time, and, often, it will cost you less than boarding, especially if you have more than one dog. If you do board your dogs, be sure to lock up your doggy door while you're gone. 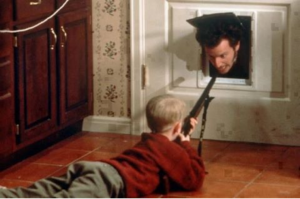 Depending on the size of your dogs, humans might be able to enter your home while slithering through. If the doggy door is in plain sight and can be viewed from the street, even with the cover on (which may keep your dog from going in and out but may not keep a thief out), you may want to consider placing a chair or large plant in front of it. Have a key hidden under the mat or in the planter next to the front door? Security experts will advise you this is dangerous on any given day with thieves looking for an easy way in. But, especially, when you're out of town, a poorly hidden key is an invitation for unlawful entry. Instead, leave a house key with a trusted neighbor for emergencies. If someone can get into your backyard, they have an easier entry into your home since they're more likely to be out of sight. If you regularly keep the gate unlocked to give access to gardeners or other family members, consider locking it while you're away. Forgoing landscaping in your back yard for a week won't hurt, and the extra security measure will help you feel at ease. You may think about your mail, and even halting your newspaper delivery, while you're enjoying your relaxing beach getaway, but have you forgotten anything? If you get regular deliveries - coffee, office supplies, diapers - be sure to call and cancel for the the time you're gone. 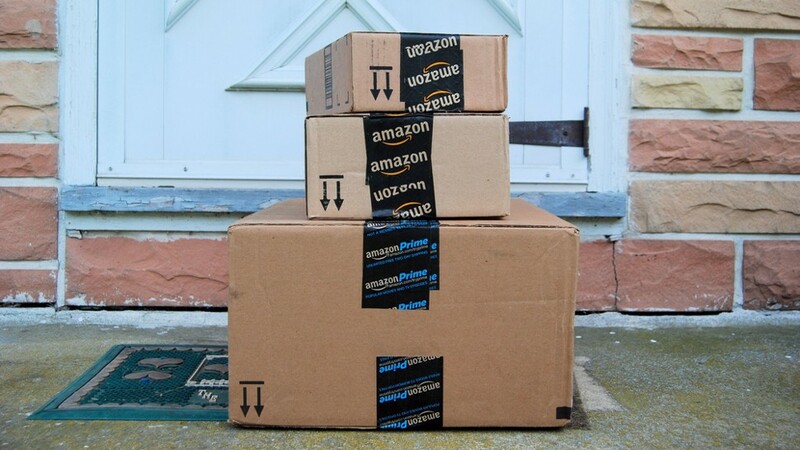 Packages piling up at your front door can invite theft - of your home, and the stuff you ordered. Have a front door lock that uses a code instead of a key? They're great for minimizing the likelihood that someone will be locked out. But, there have been recent cases in which crooks used fingerprint patterns on the touchpad to determine the code and break in. Get into a habit of wiping the keypad down every day to minimize the risk. Nothing new about this, but a security system continues to be the No. 1 deterrent to break-ins, so it bears mentioning. PC Mag's featured smart security system is Vivint Smart Home, which costs just $49. "Bottom Line: The Vivint Smart Home system offers 24/7 security monitoring and remote control of your door locks, cameras, heating system, and features the best video doorbell solution we've tested," they said. In lieu of, or in addition to, a security system. Security cameras can give you piece of mind. PC Mag recommends two starter models: The iControl Networks Piper nv or the Nest Cam Outdoor. "These cameras have built-in sensors that track motion, and will send push notifications when movement is detected (the Piper nv will also send notifications when humidity and temperature thresholds are exceeded)," they said. "Both are solid, cost-saving alternatives to full-on security systems." Protection from thieves isn't all you have to worry about when you're away. Nest Protect helps ward off potentially catastrophic fires and toxins. "This smoke and carbon monoxide alarm looks for fast-burning fires, smoldering fires and invisible-but-deadly carbon monoxide," said USA Today 10 Best. "It speaks to you, letting you know what and where the danger is, and will message your phone if you're not home. It can also be silenced from your smartphone so if you simply overcooked your dinner, you don't have to go climbing to turn it off. Nest Protect tests its sensors and batteries 400 times a day and will notify you when the battery is running low rather than beep all night until you can get a ladder to replace it."